This is just the devilishly marked Daredevil Deck, without instructions! 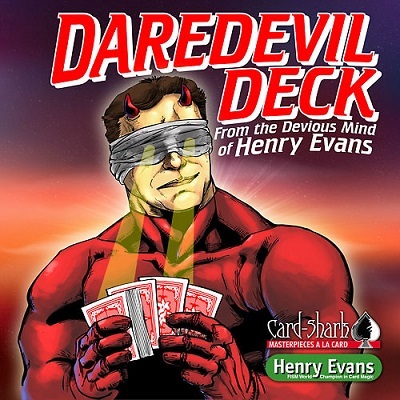 The Daredevil Deck seems to be an innocent Phoenix Deck, but it is marked in a devious way! You will not believe it! It is THAT bold! A marked deck that you can read blindfolded, with markings 350% bigger than the Phoenix Marked Decks and 700% bigger than the Ultimate Marked Deck! Perfect for Parlour, Stage and Video Performances. And for all magicians with bad eyesight, who cannot use a Marked Deck any longer.